The students of the San Leandro Academy for Multi-Media (SLAM) have had access to some of the most cutting edge technology in the world of multi-media. This year, SLAM is on track for the creation of more innovative works by this group of high school students. 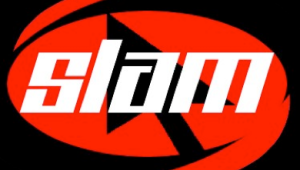 Situated within San Leandro High School, SLAM is a three-year program that teaches multimedia skills such as 3D graphics, animation, digital photography, special effects, video production, and web design. Last year students produced short documentary films that have been aired on our local cable channel and presented at a San Leandro City Council Meeting. To create these films, students had access to leaders in the field of multi-media, such as Tracy McSheery of PhaseSpace and Katherine Sarafian of Pixar. Students produce multiple shorts, graphic art and photography, their own webpages, and a host of other projects. These San Leandro students are primed to step out of school and into the multi-media tech-economy. Is your web site availible in different languages?